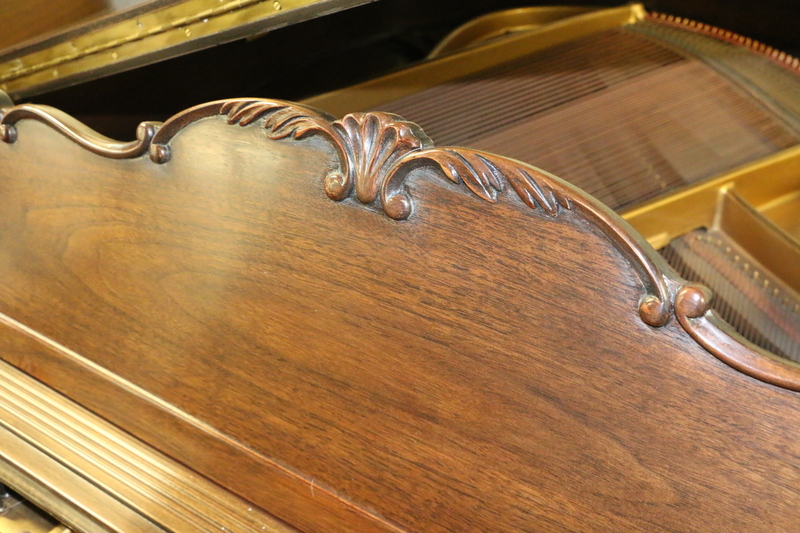 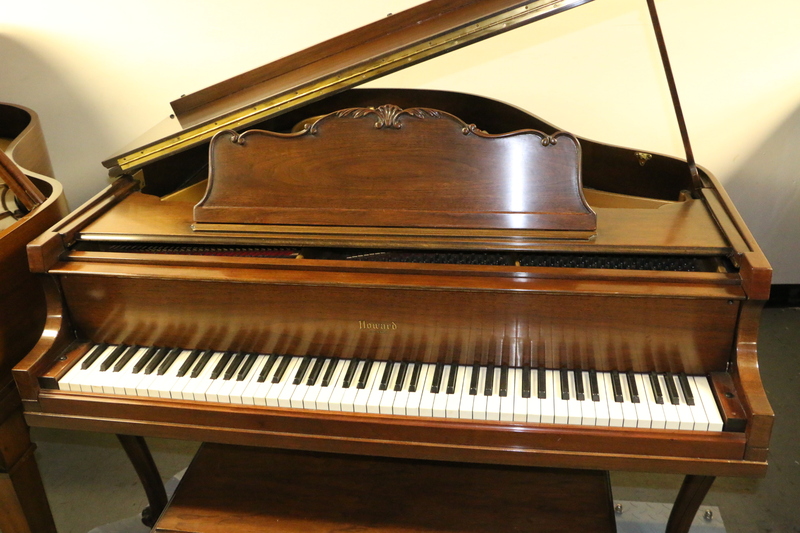 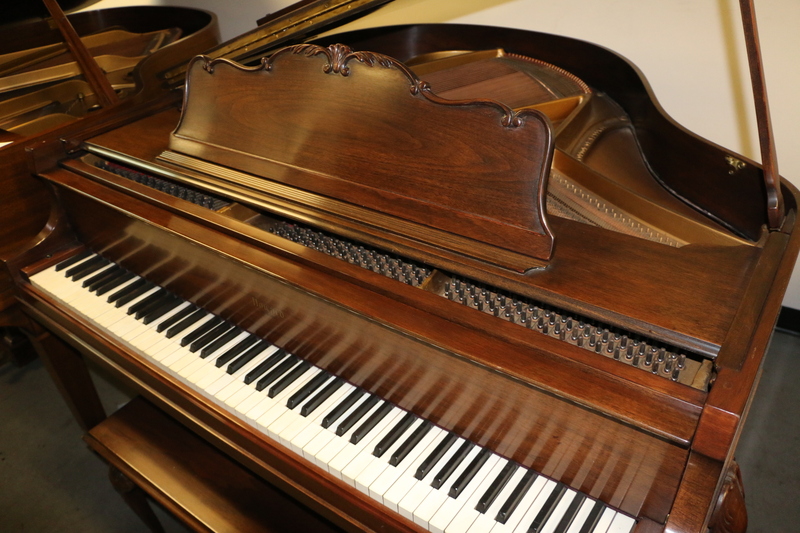 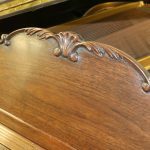 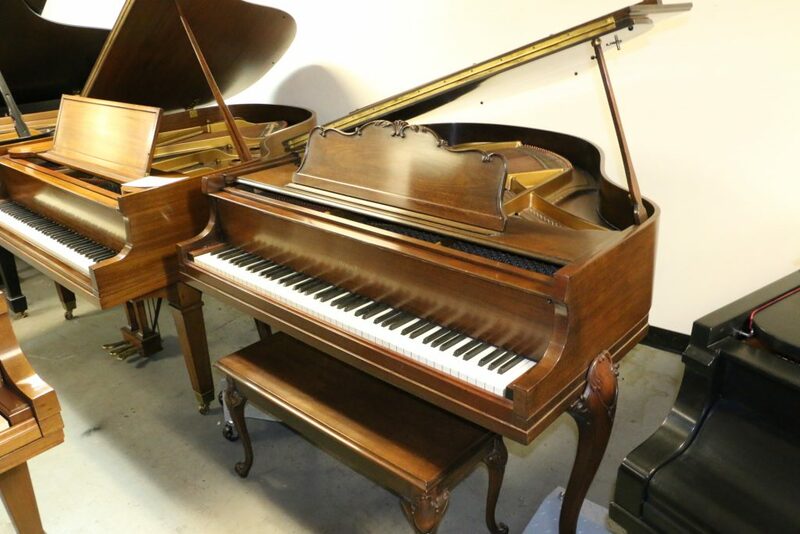 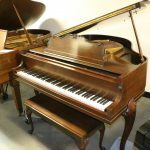 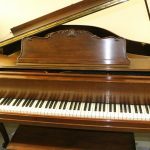 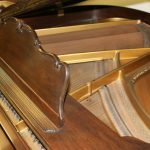 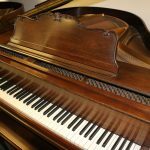 Beautiful French Provincial baby grand made by Baldwin. 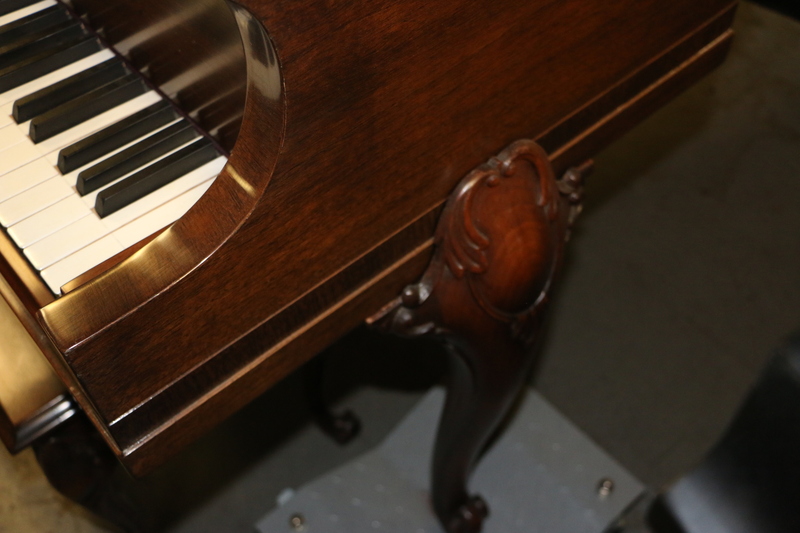 Newly refinished in satin walnut. 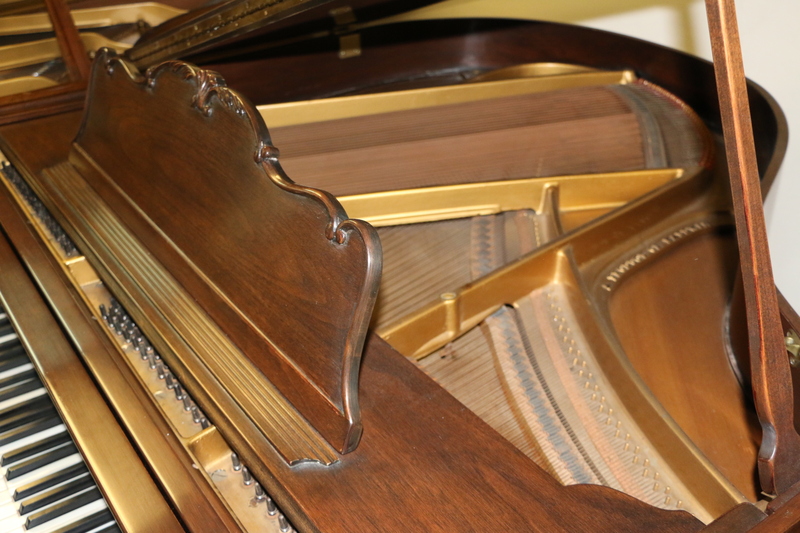 Plays good with original ivory keys. 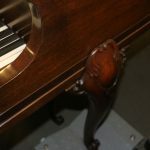 Nice looking instrument that plays well with decent tuning stability.